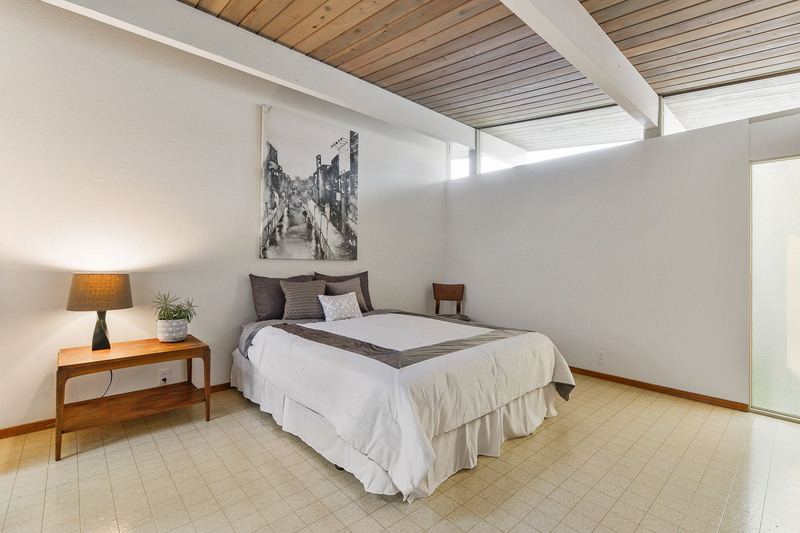 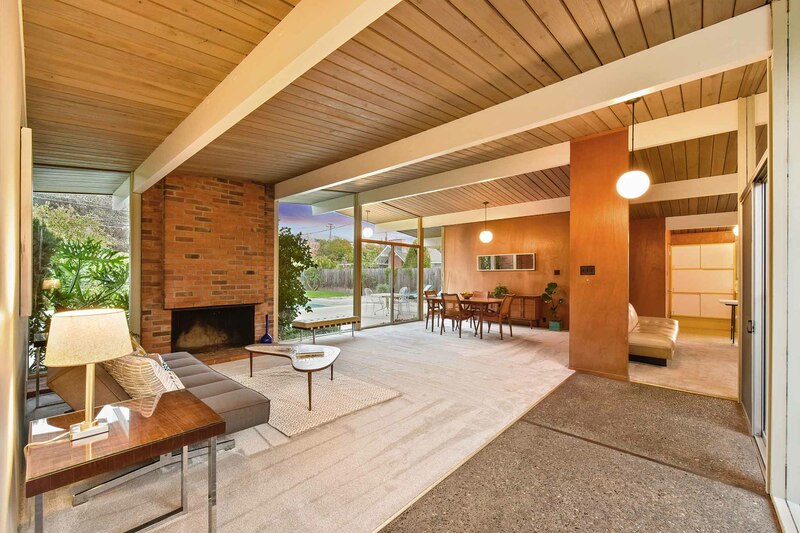 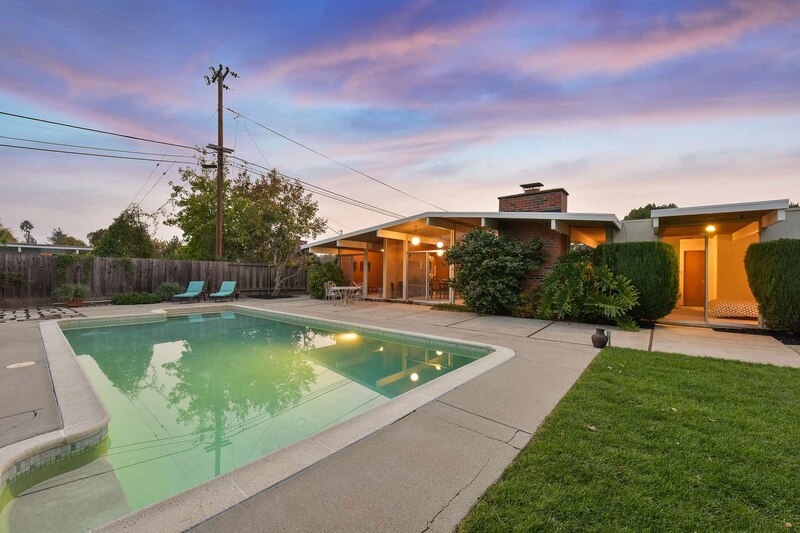 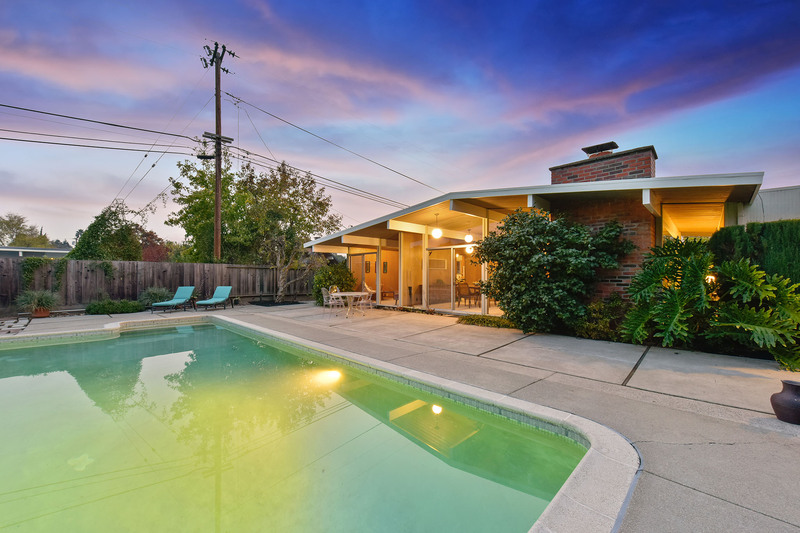 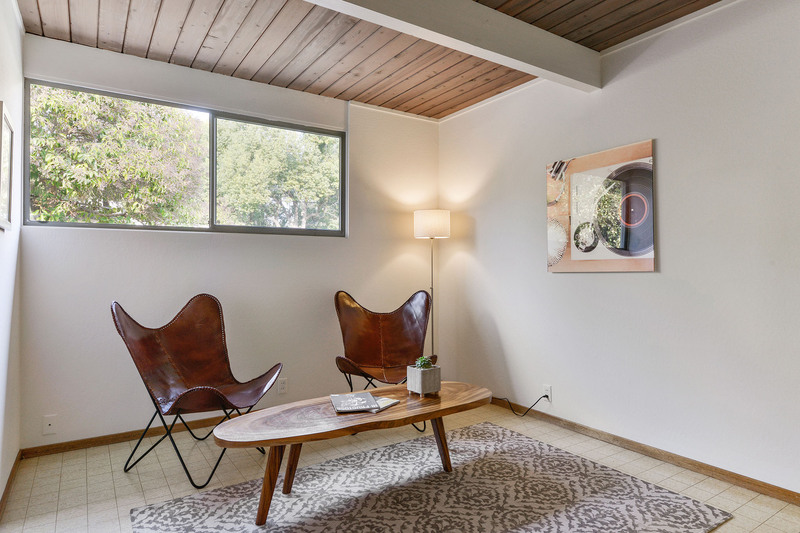 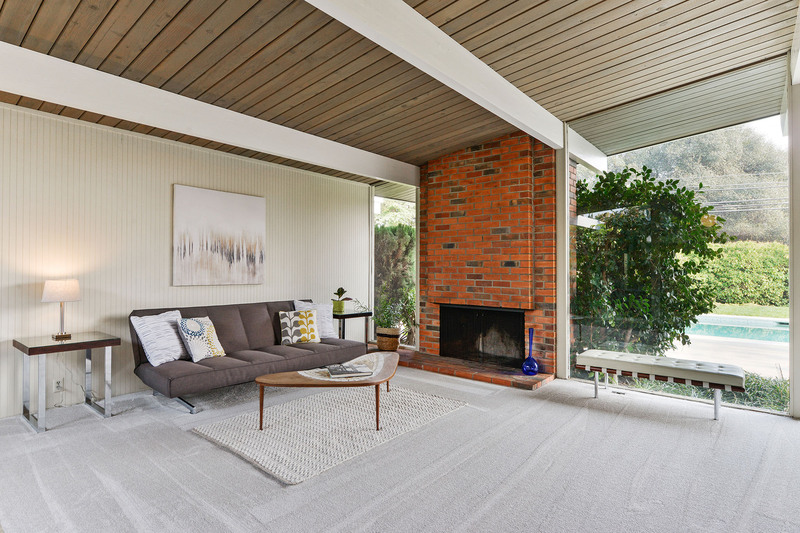 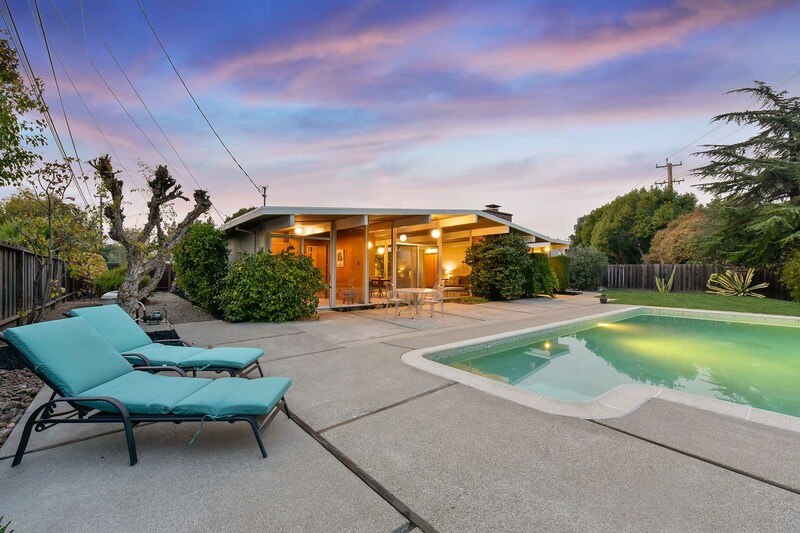 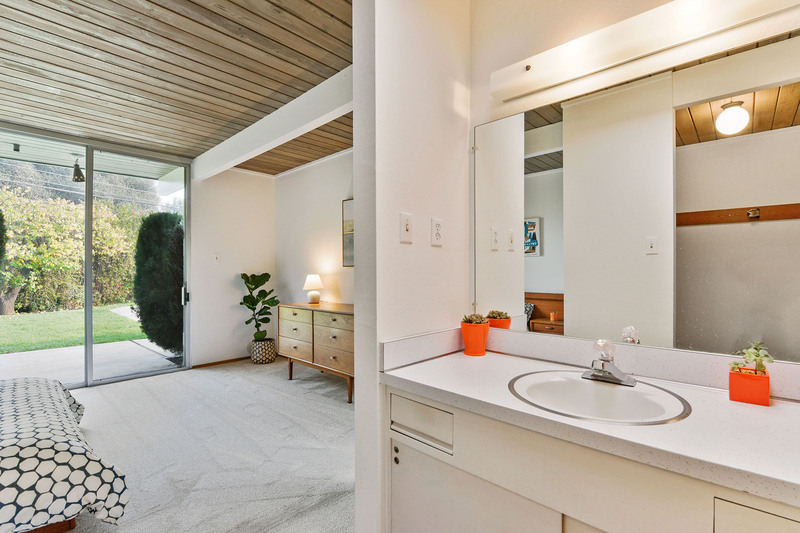 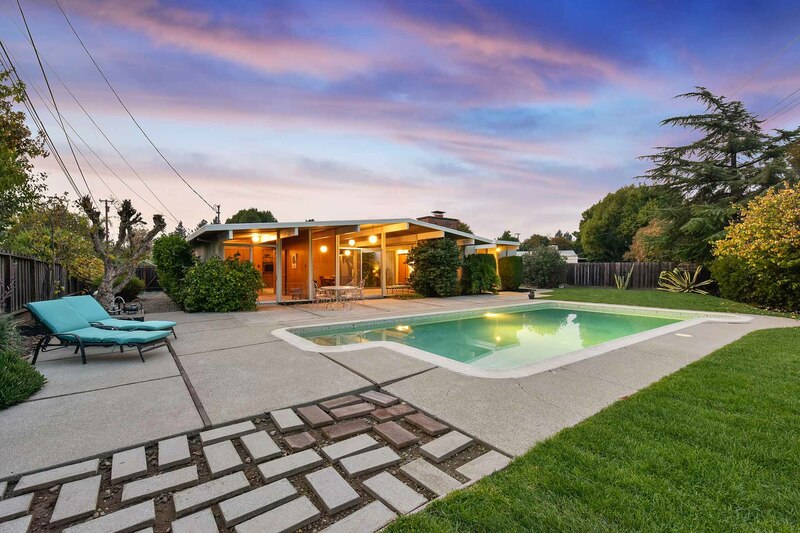 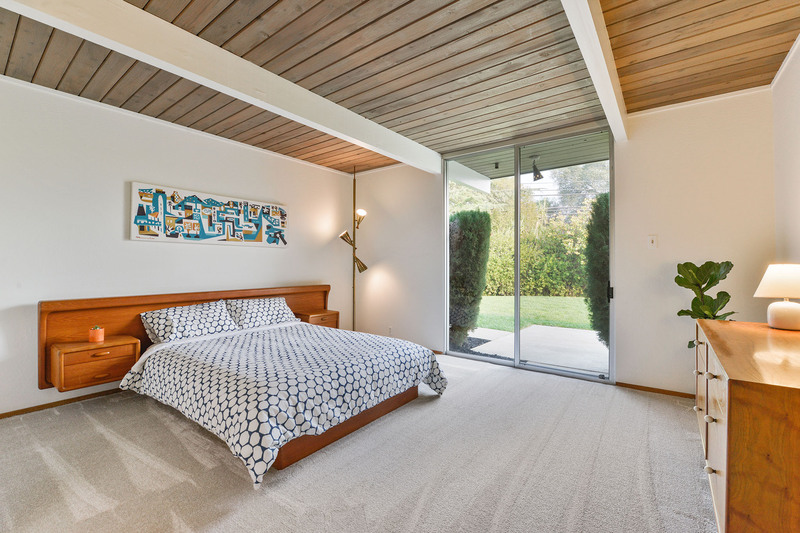 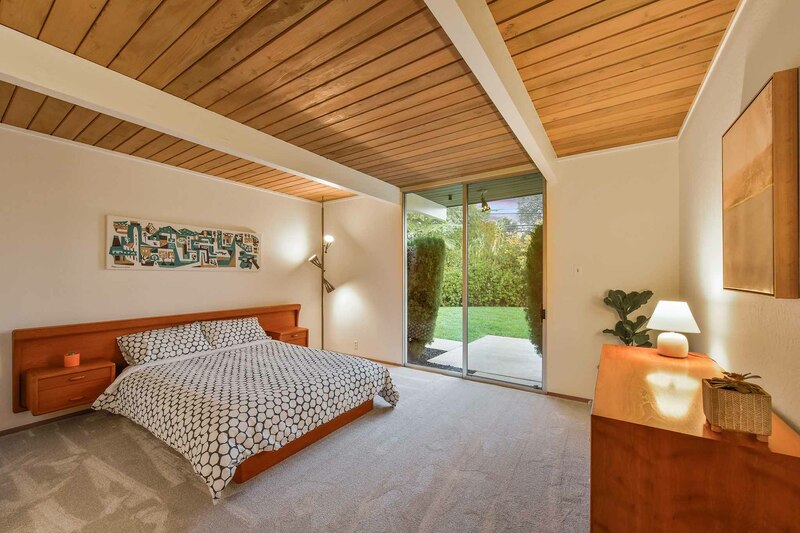 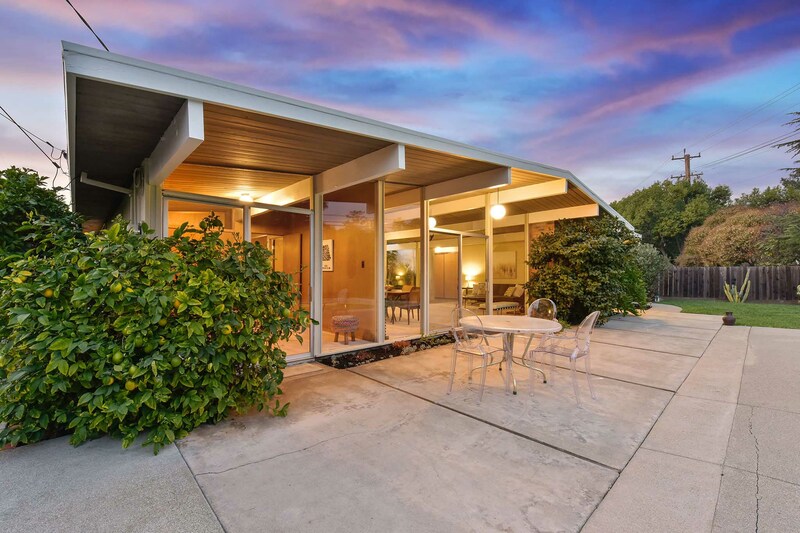 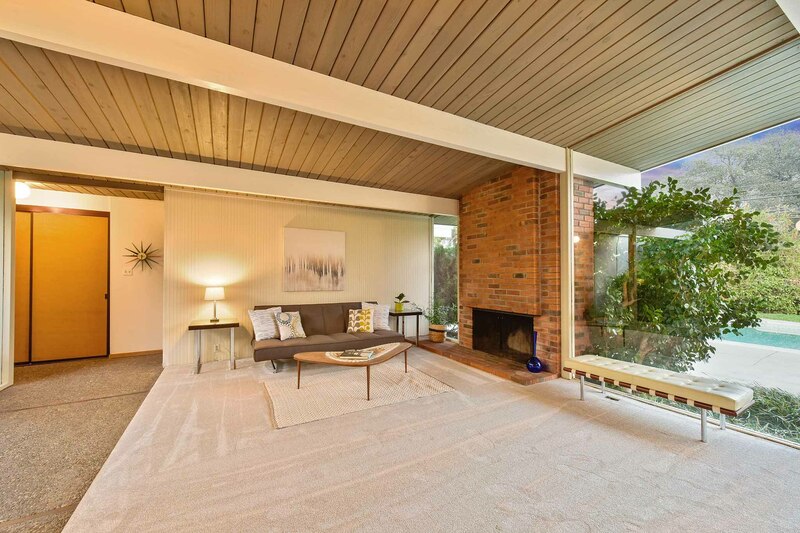 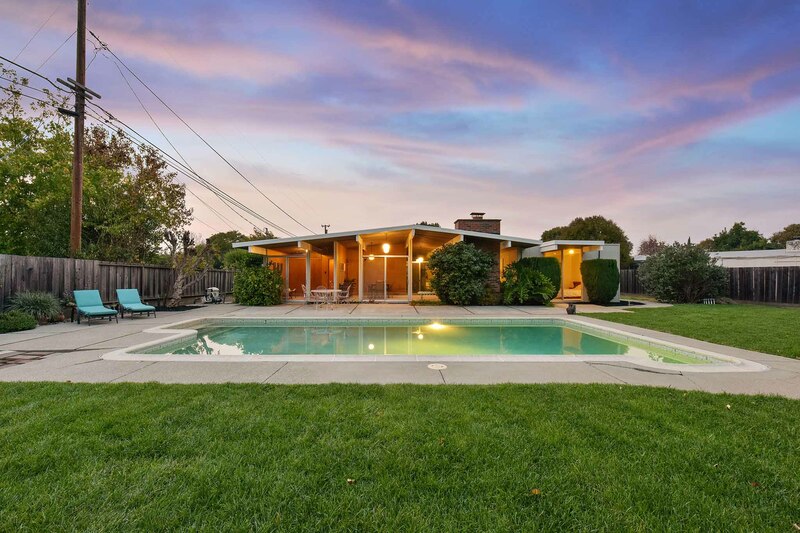 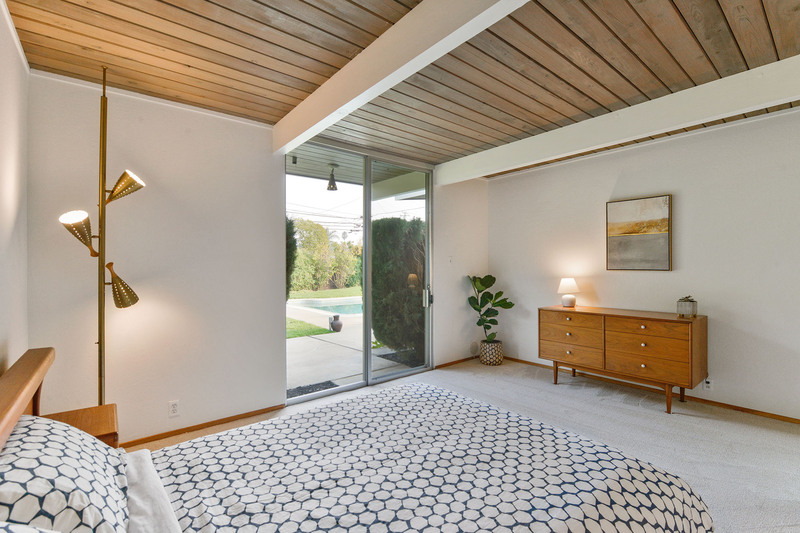 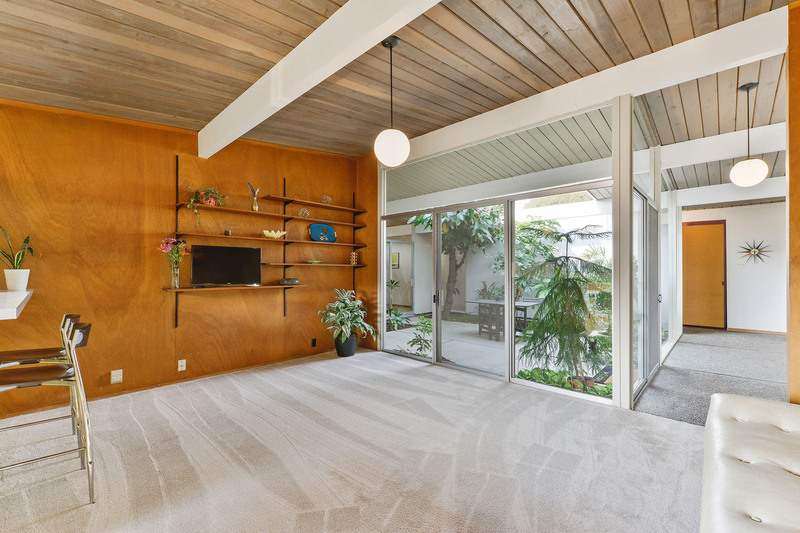 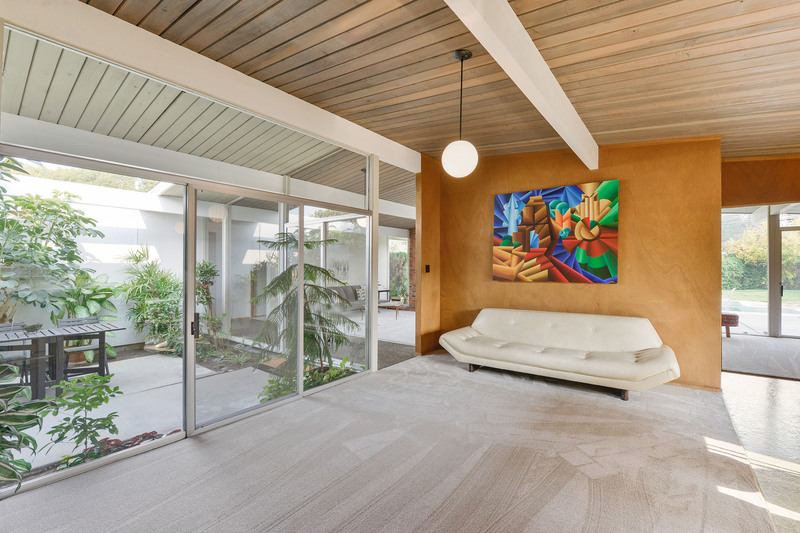 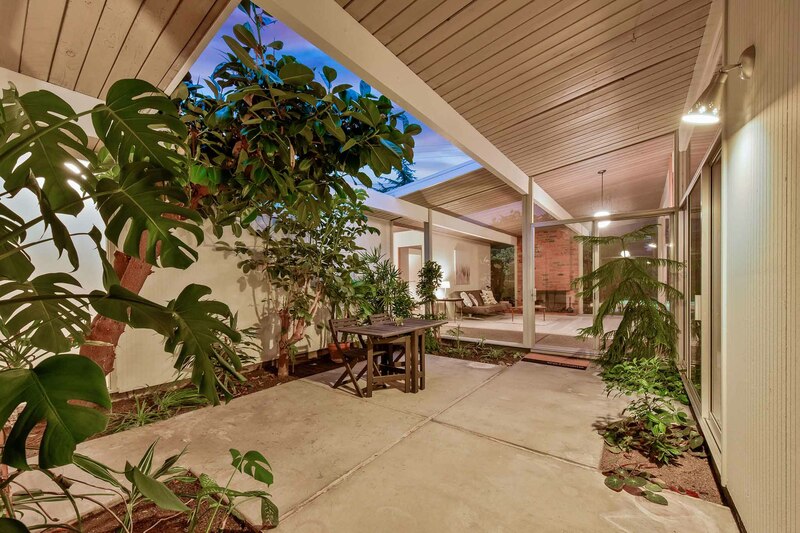 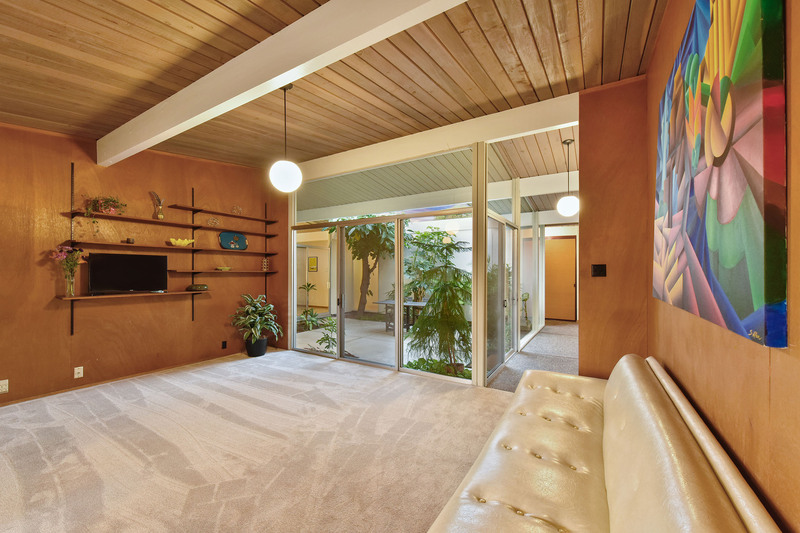 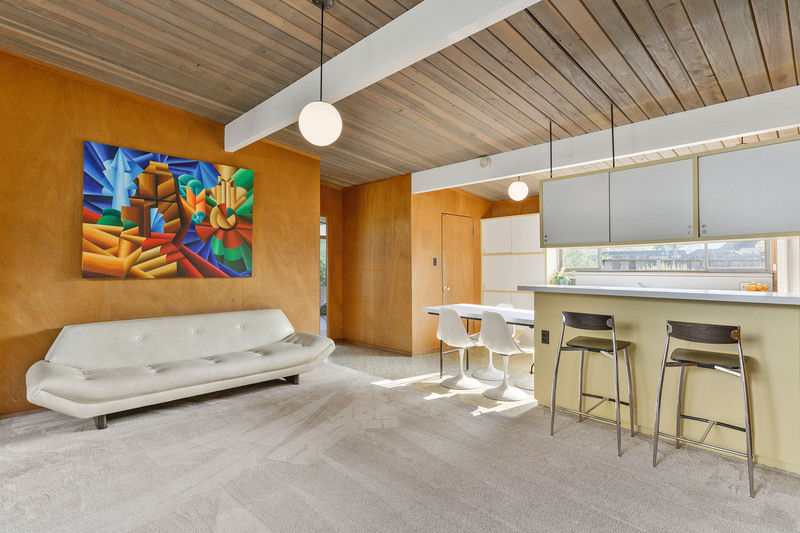 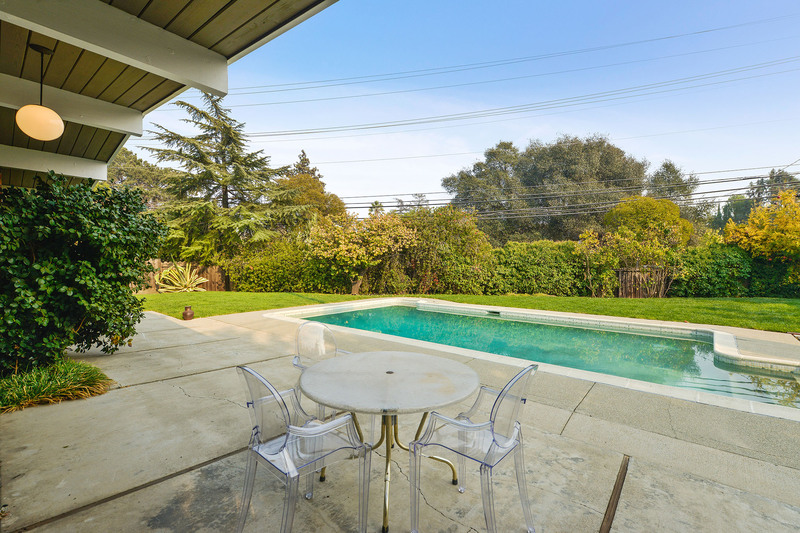 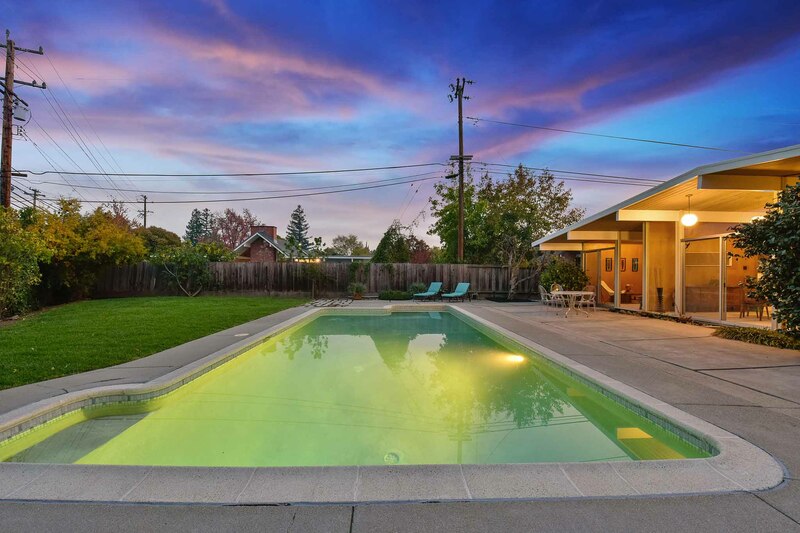 First time on the market in over 50 years for this marvelous mid-century modern masterpiece designed by renowned architect Claude Oakland, and built by Eichler homes in 1964. 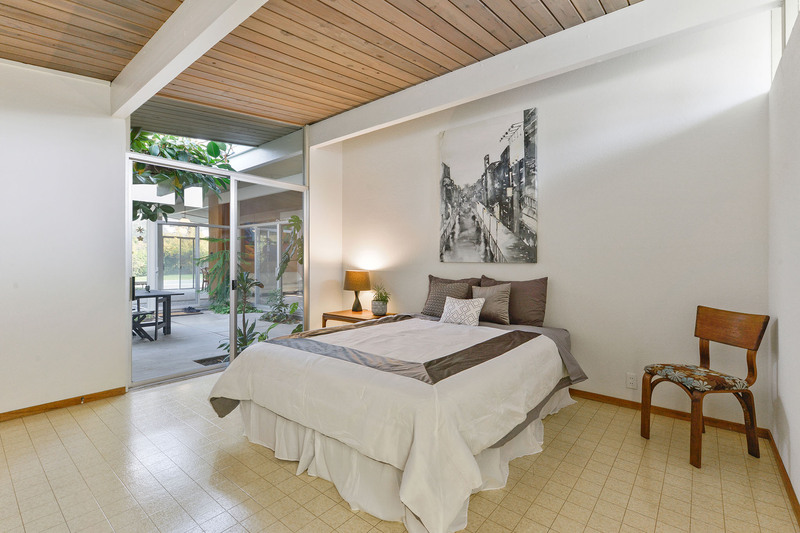 Lovingly preserved for decades, this particular Eichler model is one of the most popular designs for its large 4 bedroom, 2 bathroom single level open floor plan of almost 2000 square feet with signature great room, spacious open air atrium that brings the outdoors in, separate utility room that can be used as a 5th bedroom or office, and massive 2 car attached garage. 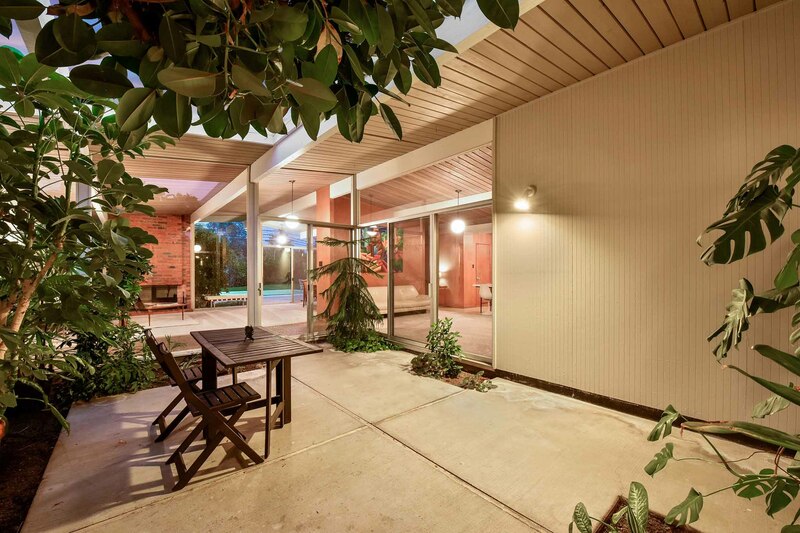 Plenty of original and wonderful details as well to please the mid-century modern enthusiast including unpainted ceilings, mahogany paneling in good condition, loggia with aggregate flooring, unpainted brick wood-burning fireplace, original kitchen and bath cabinetry, closet doors in good condition, globe lights throughout, radiant heating with copper plumbing, and an unaltered floor plan. 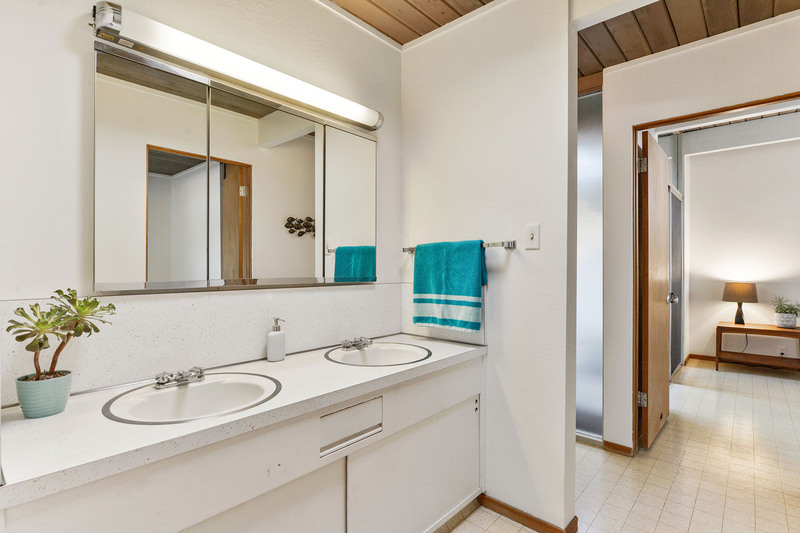 Other features include new interior and exterior paint, new carpeting, a large kitchen pantry, automatic garage door, and roof under 2 year warranty. 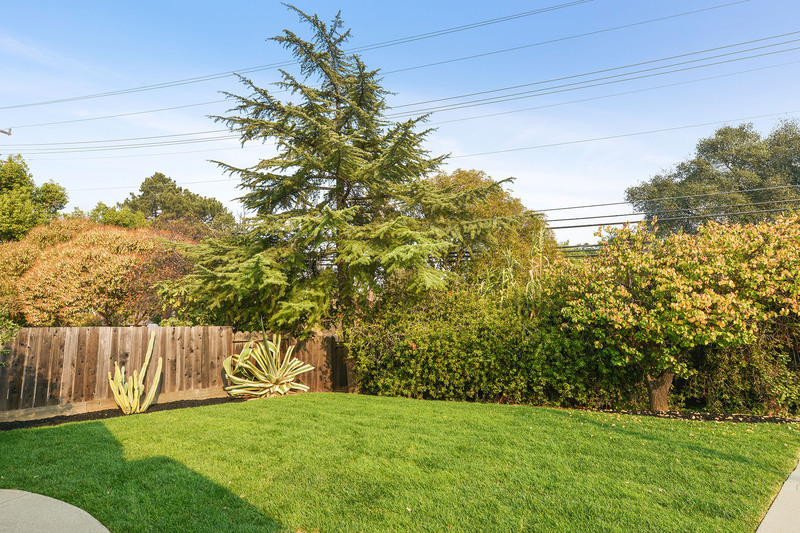 All situated on an impressive lot of over ¼ acre, or 11,475 square feet per tax records, that’s believed to be the second largest parcel in the development. 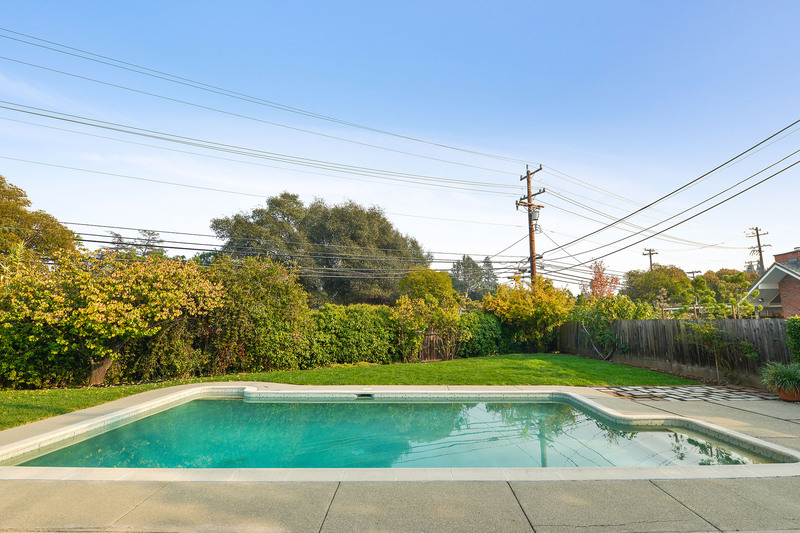 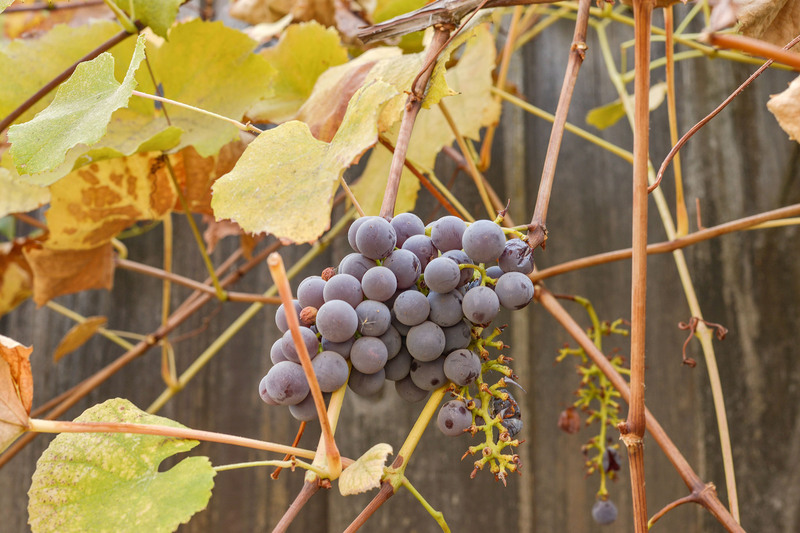 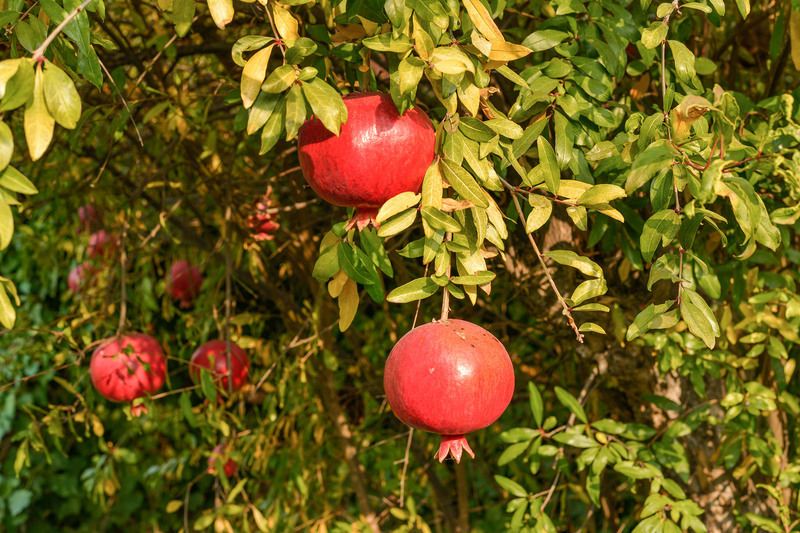 Features include a pool to keep cool in the warm weather months, new fresh sod in back, large side yards, and established fruit trees and vines including pomegranate, multiple citrus trees, and Concord grapes. 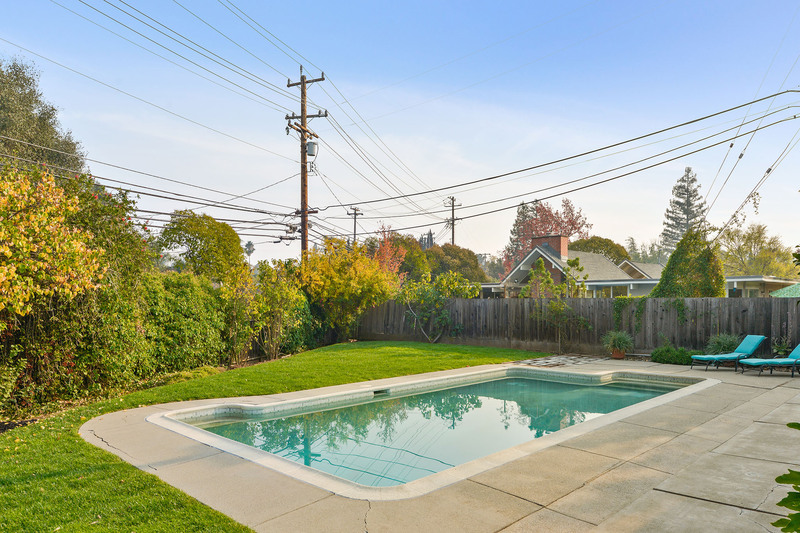 Conveniently located near Concord’s Community Park, featuring an Olympic sized swimming pool and abundant space for picnicking and play. 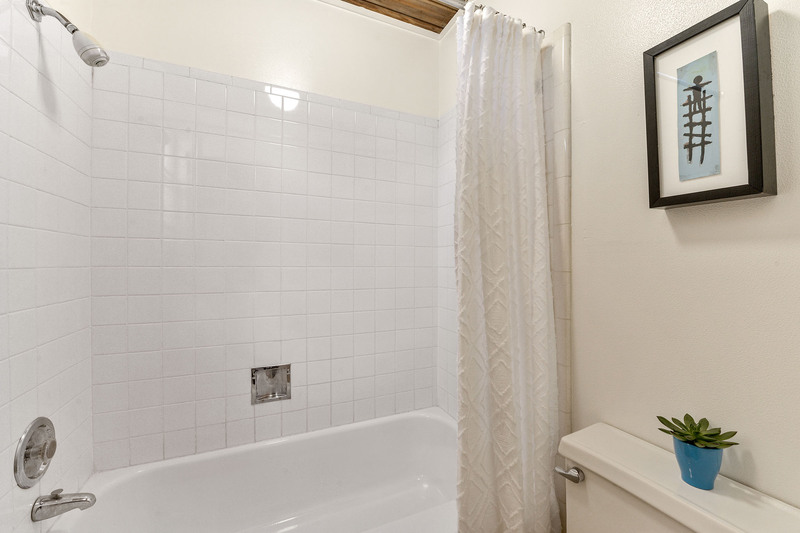 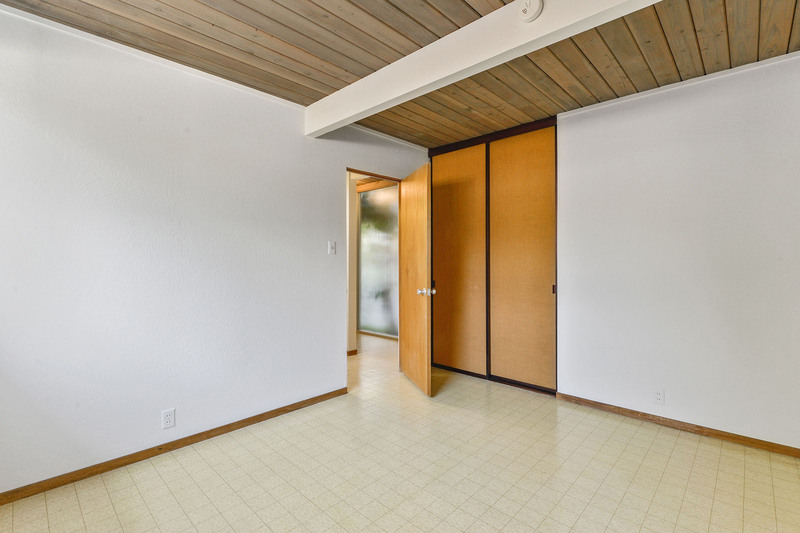 Close proximity to BART, as well as Todos Santos Plaza with restaurants and cafes, social events, and an awesome weekly farmer’s market. 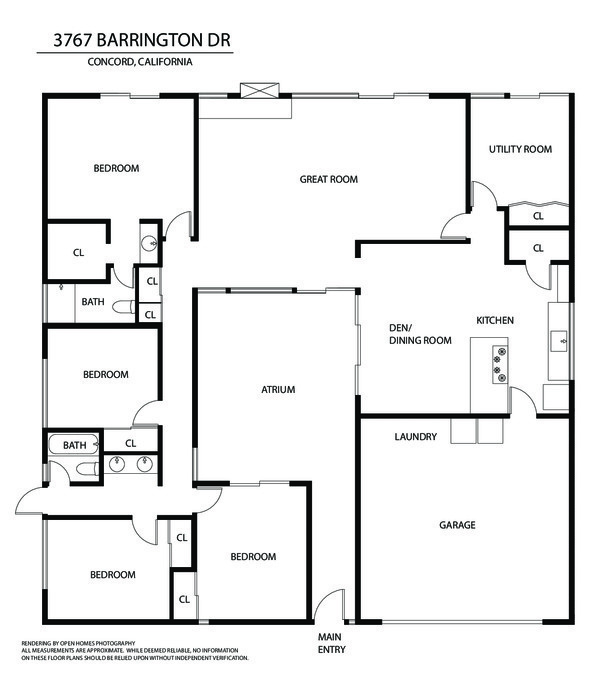 There’s also The Veranda, the new shopping and entertainment center with plenty of shopping and dining including Luxe Cinema and IMAX, as well as a Whole Foods 365. 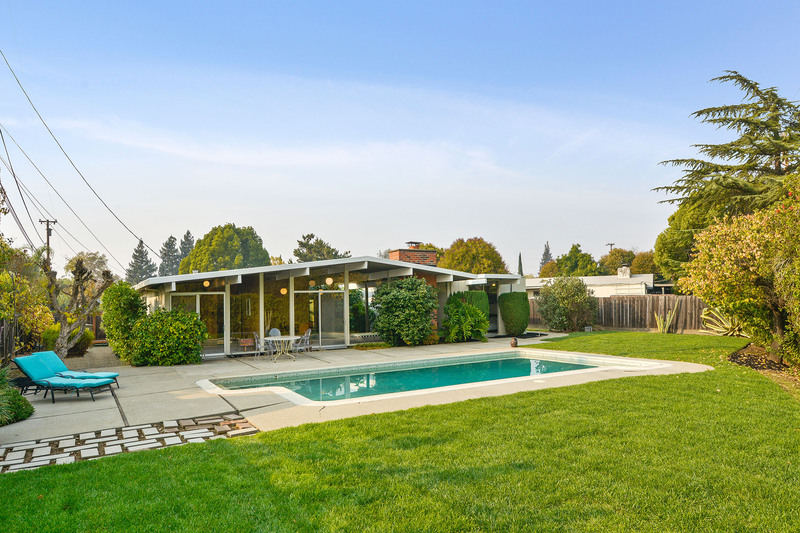 Concord is truly a city on the rise and one of the best values in the Bay Area. 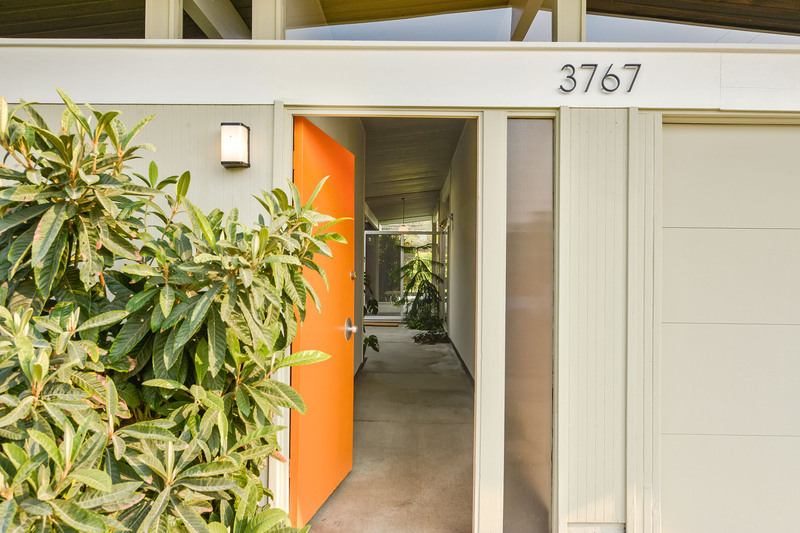 The architect Claude Oakland has been credited with designing over 3,430 Eichler homes in 51 subdivisions, and worked for Eichler homes for over 25 years. 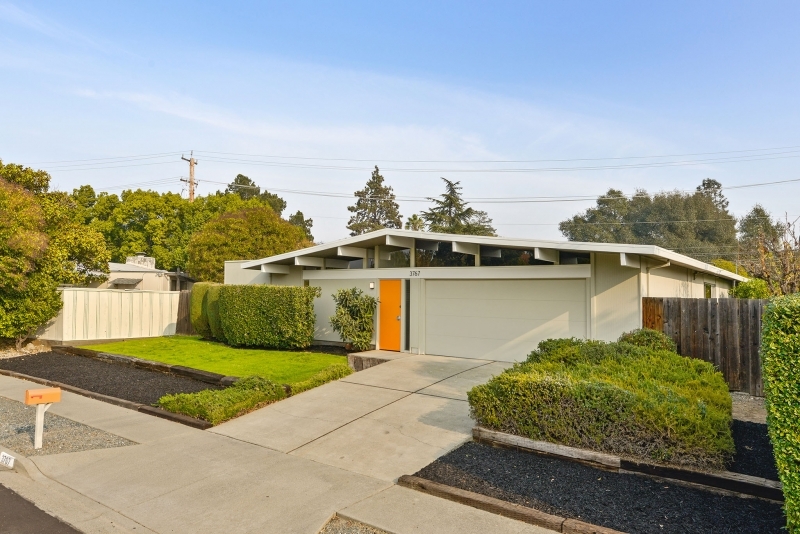 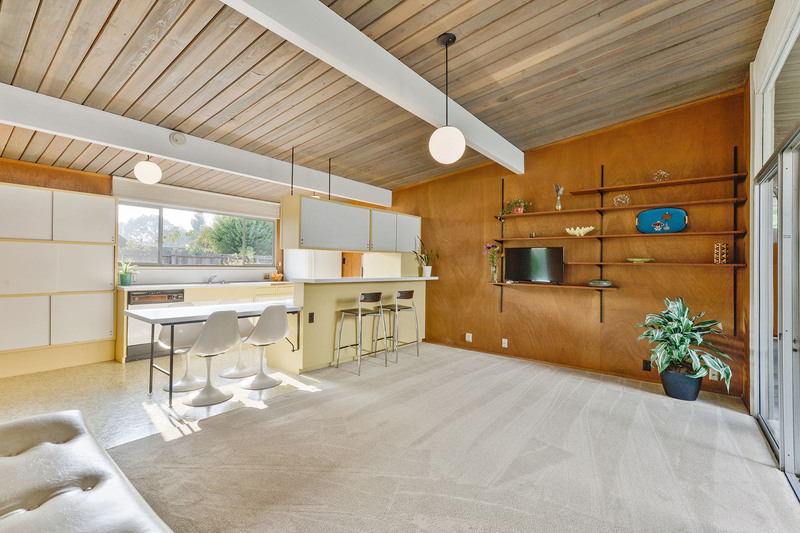 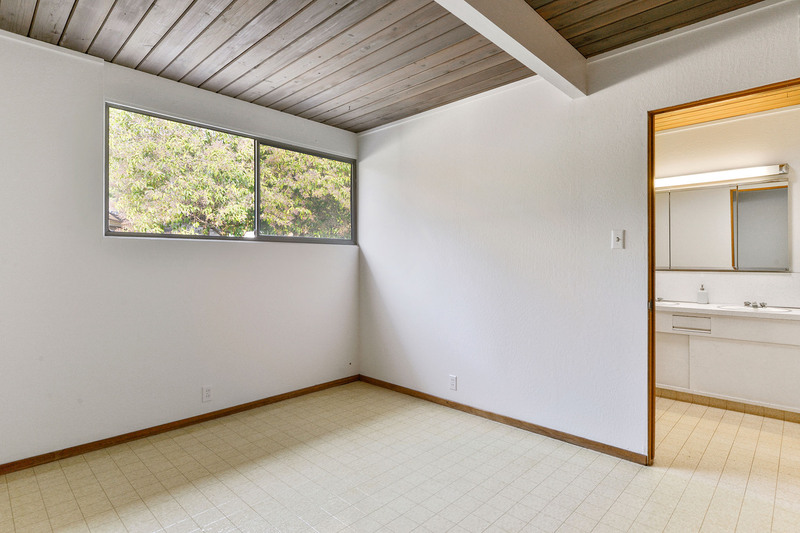 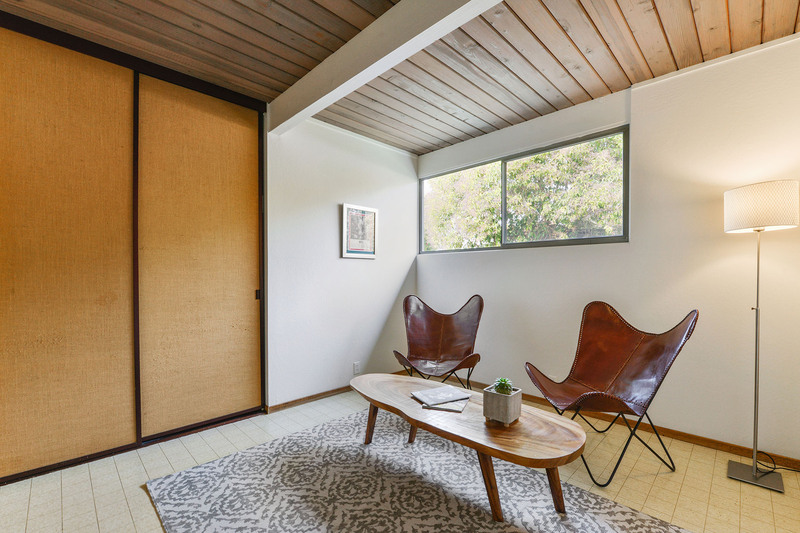 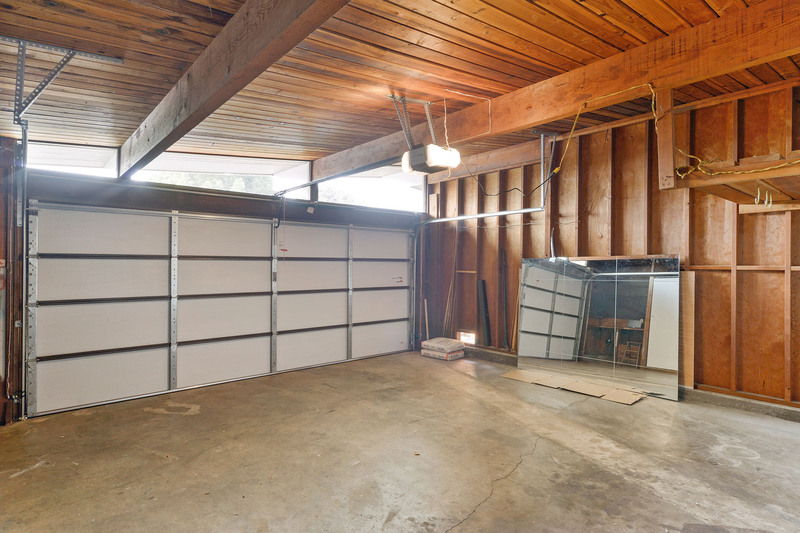 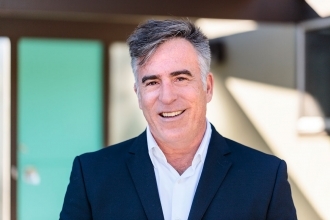 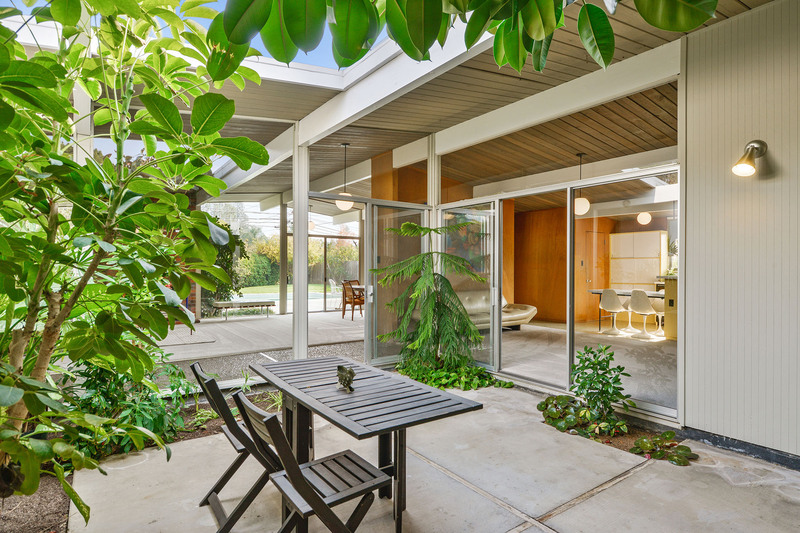 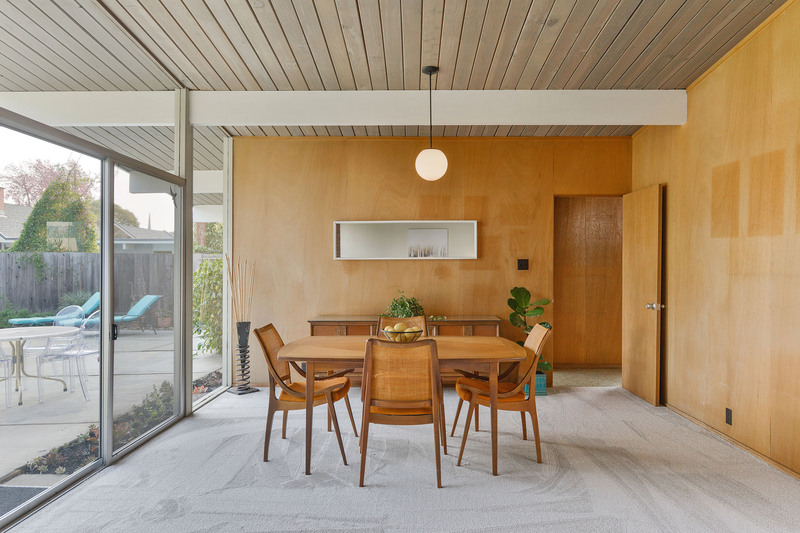 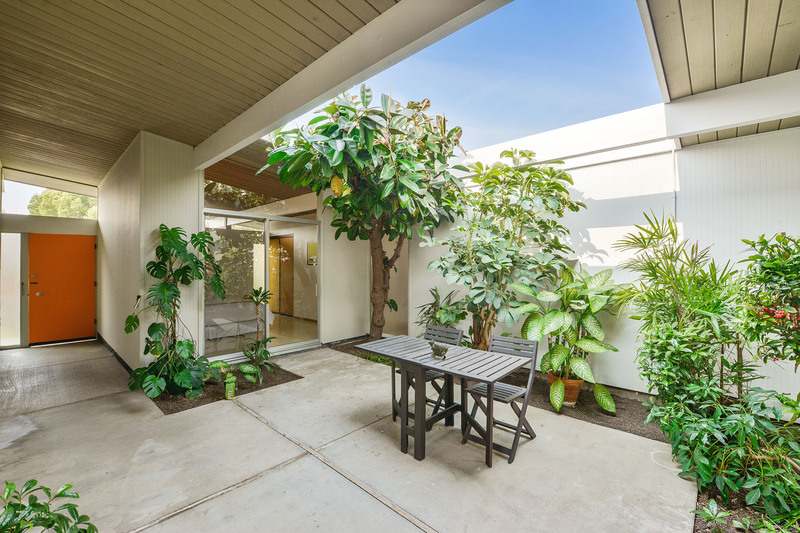 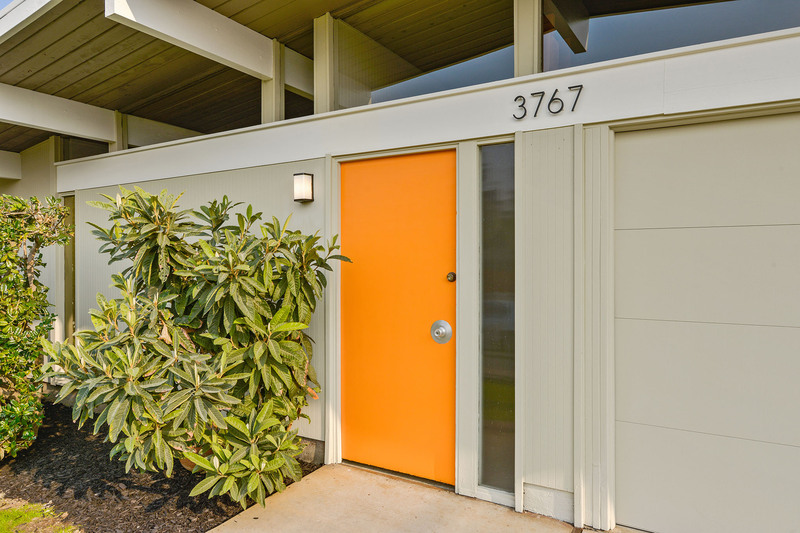 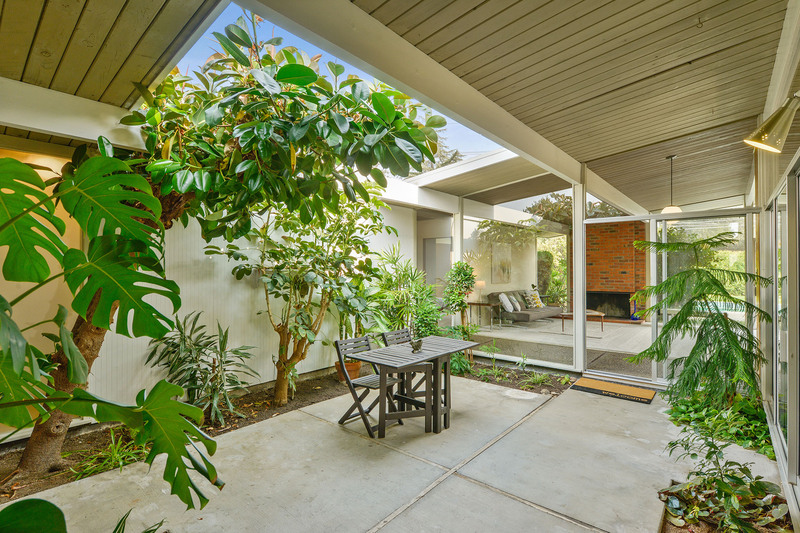 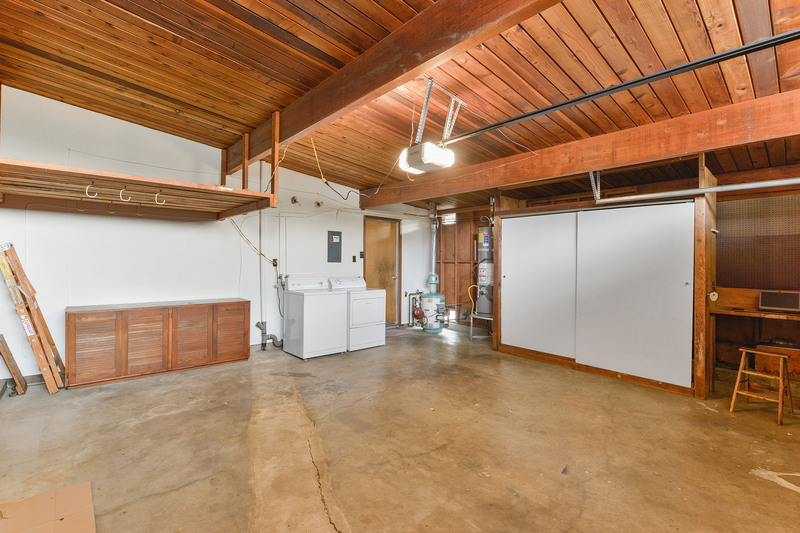 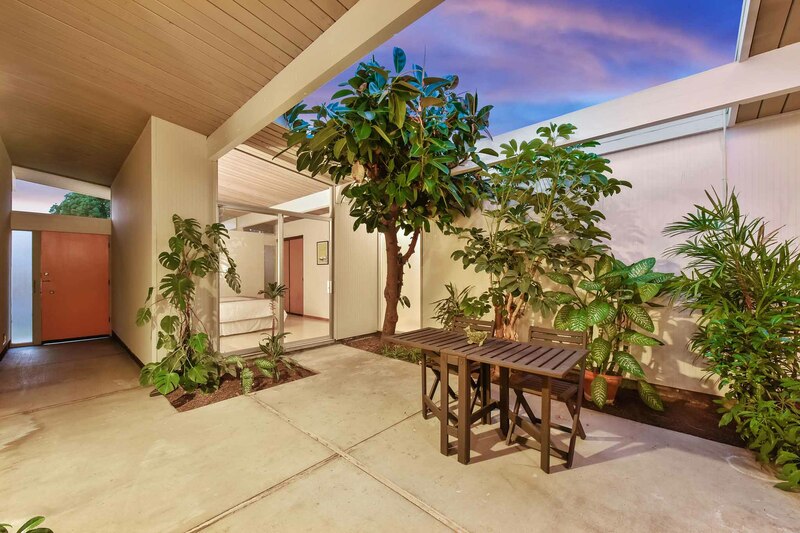 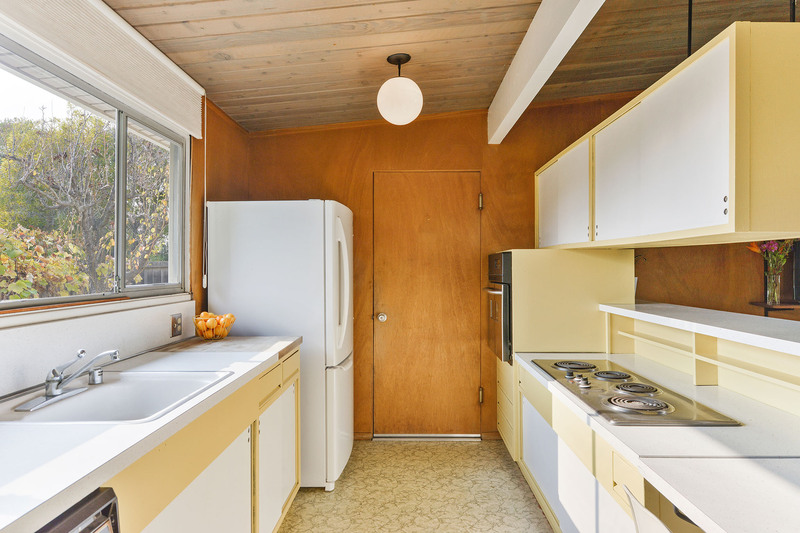 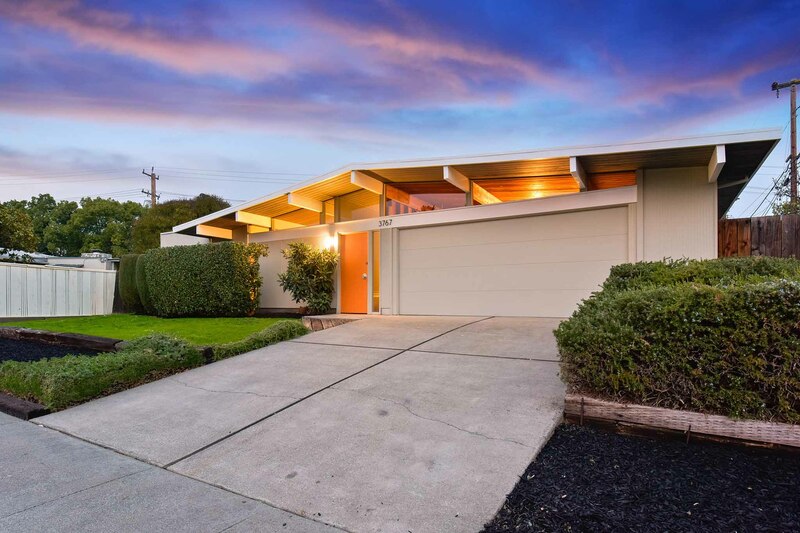 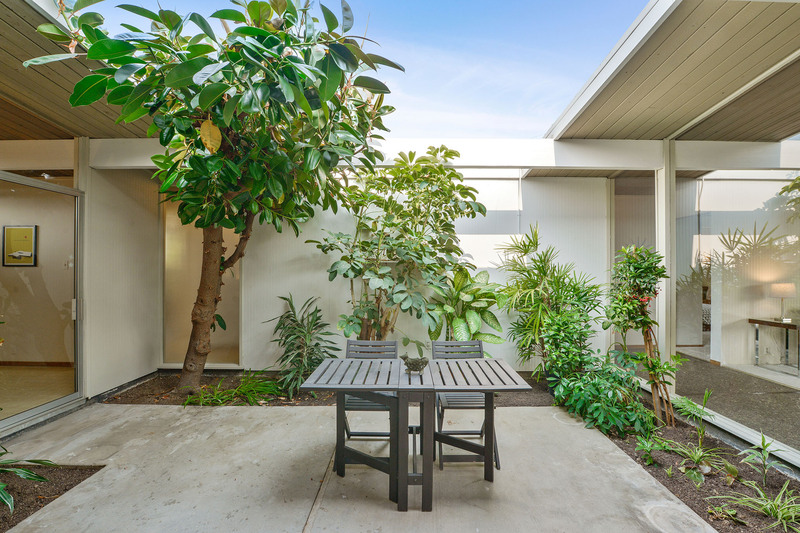 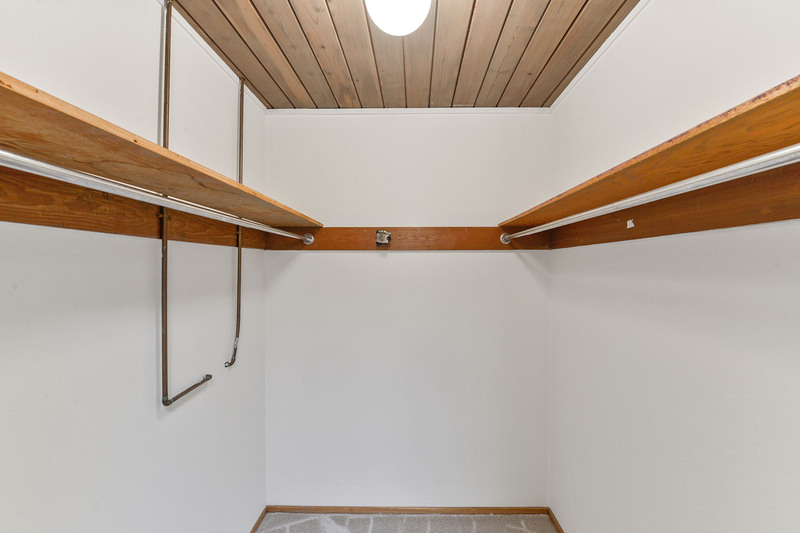 Oakland was originally an architect for the first firm hired by Eichler homes Anshen and Allen, and later founded his own firm in 1960 and designed Eichler homes until 1974, the last year Eichler homes were constructed. 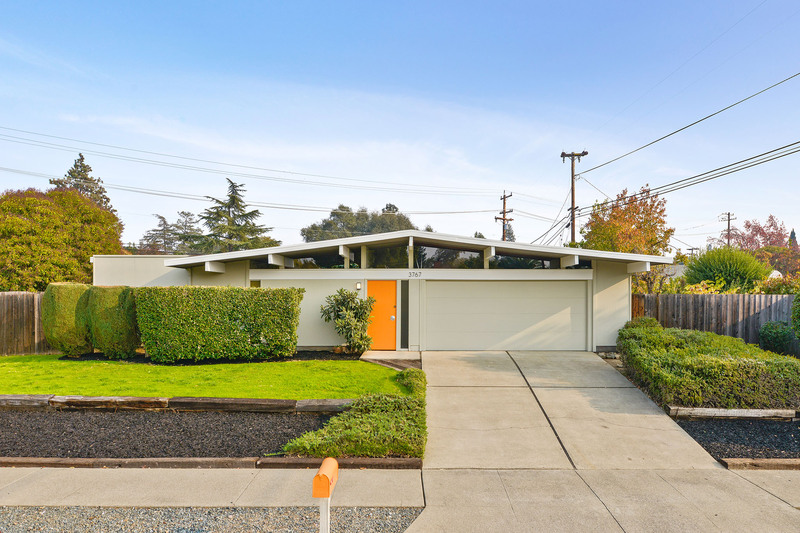 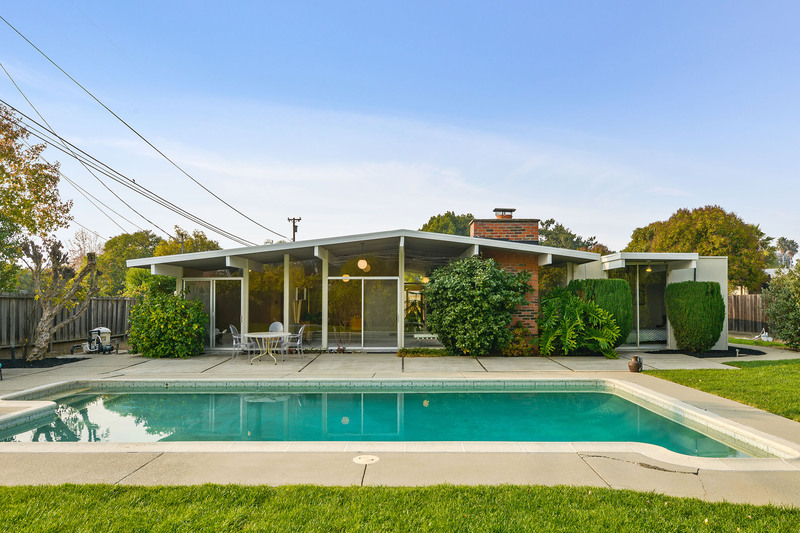 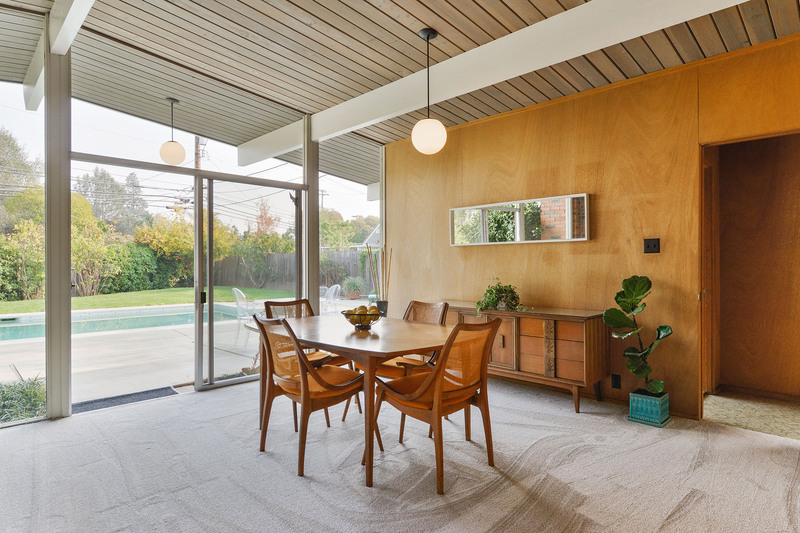 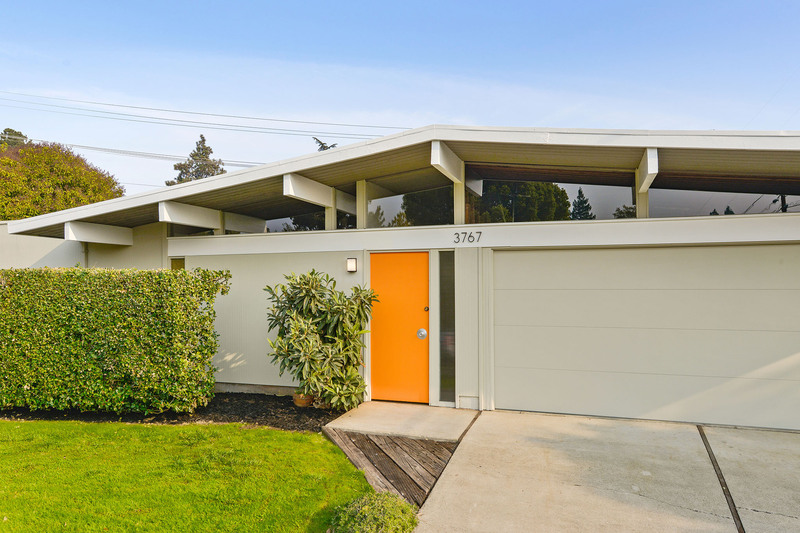 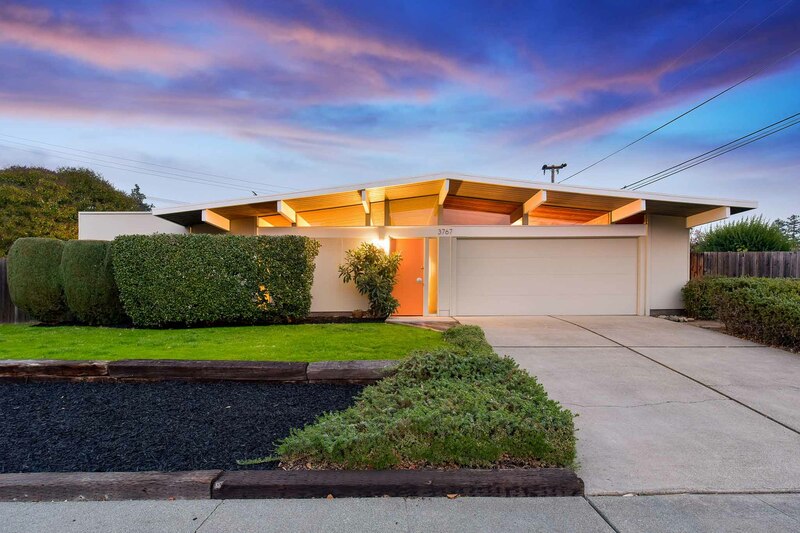 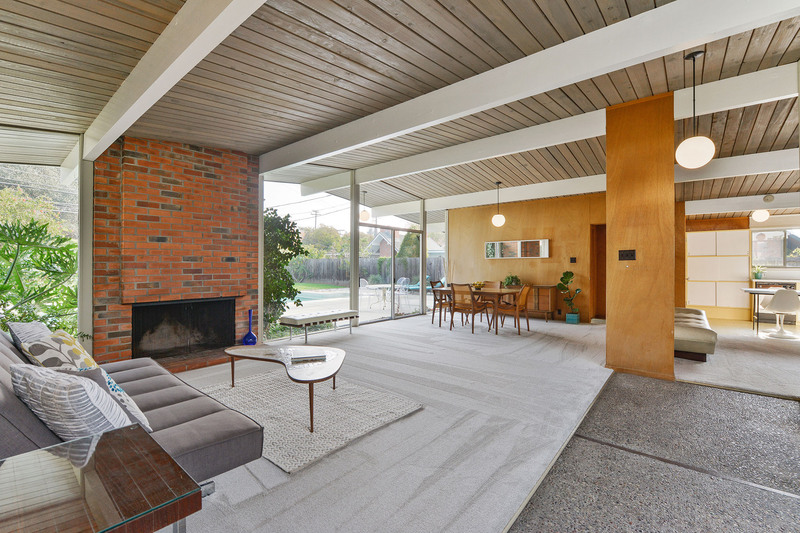 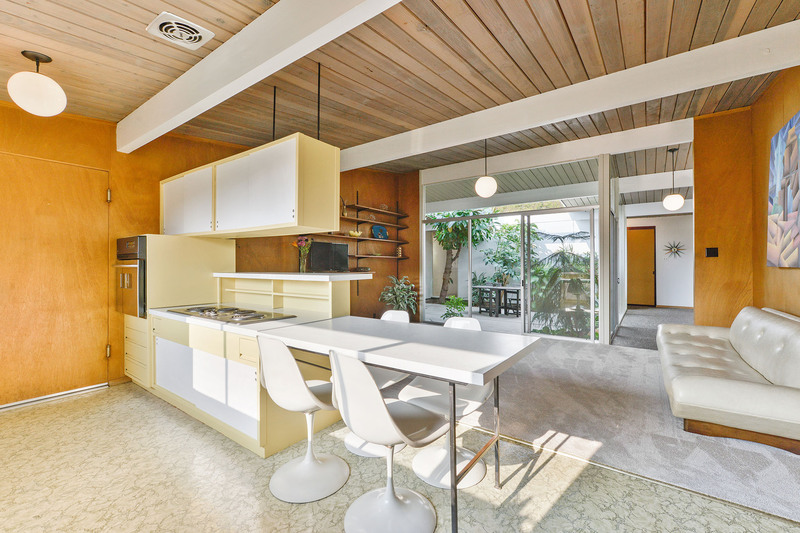 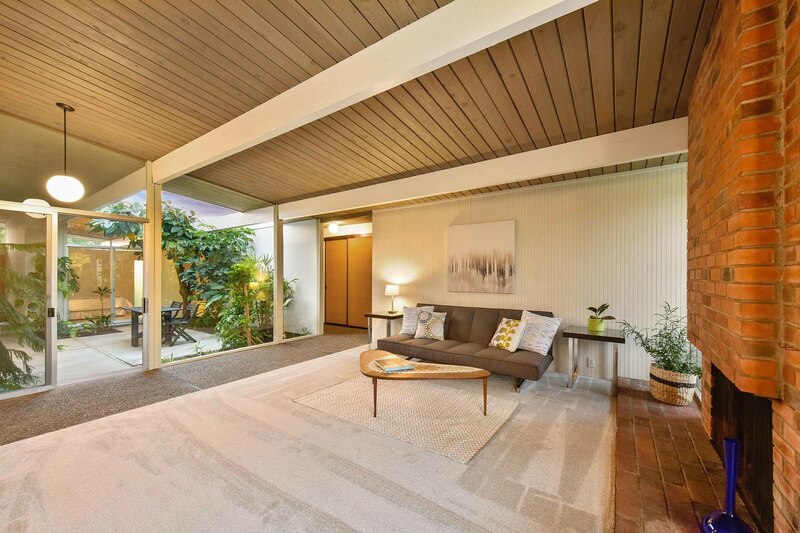 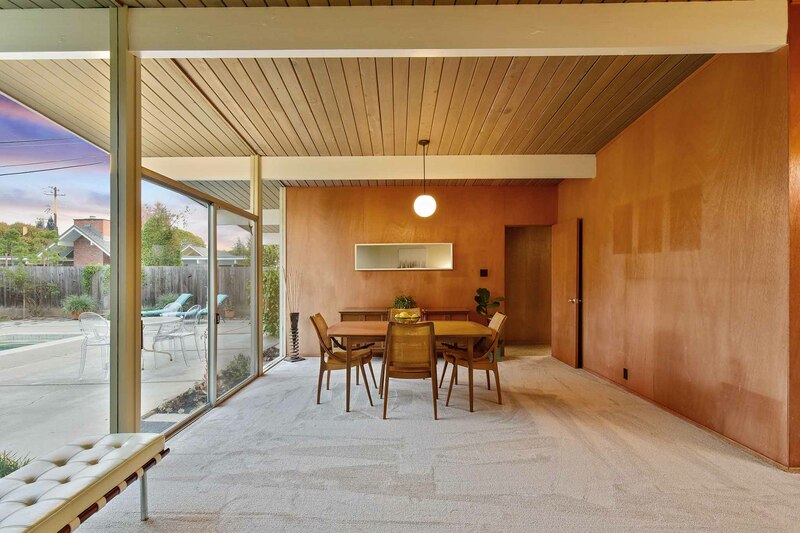 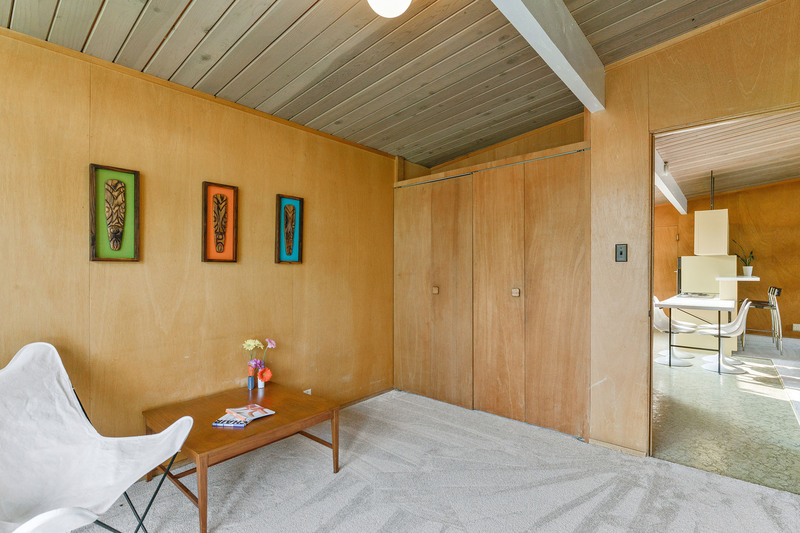 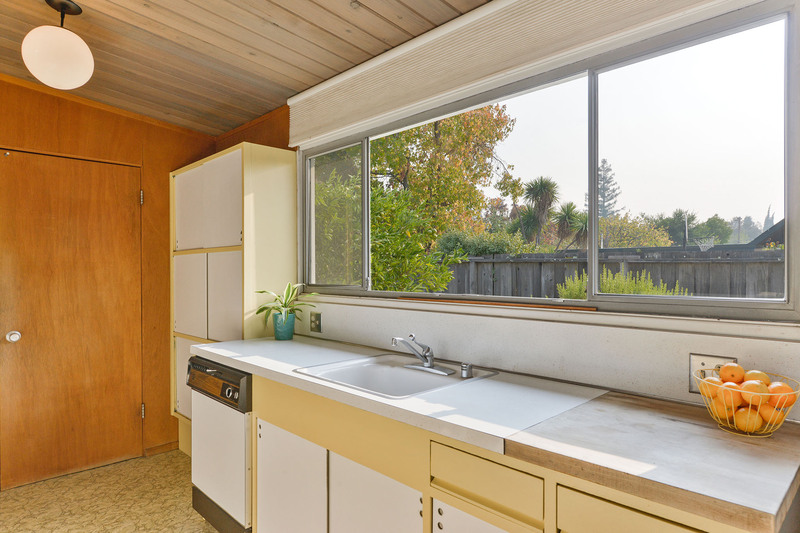 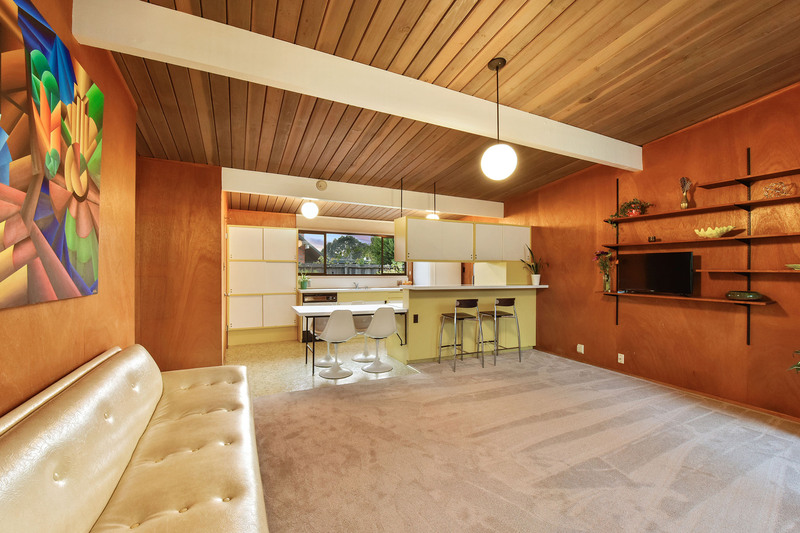 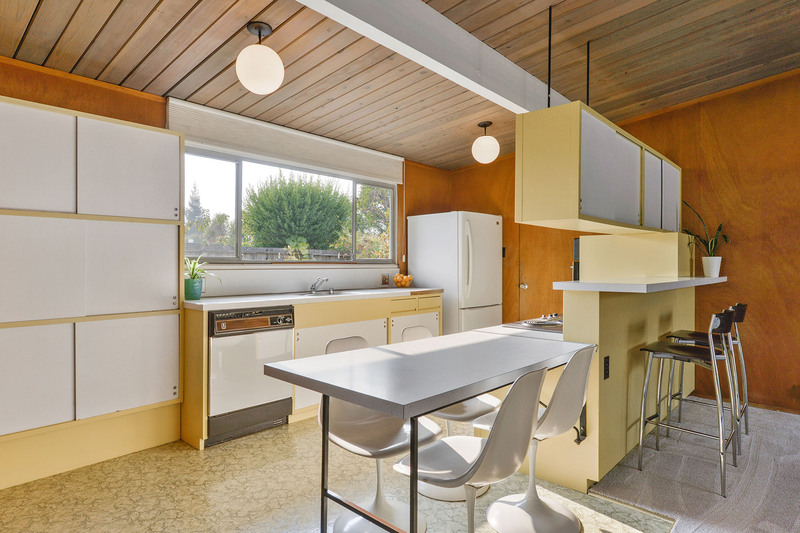 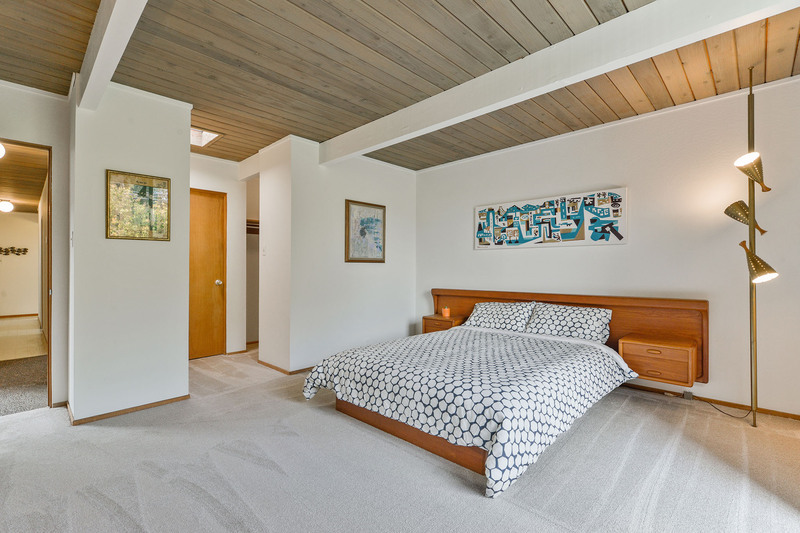 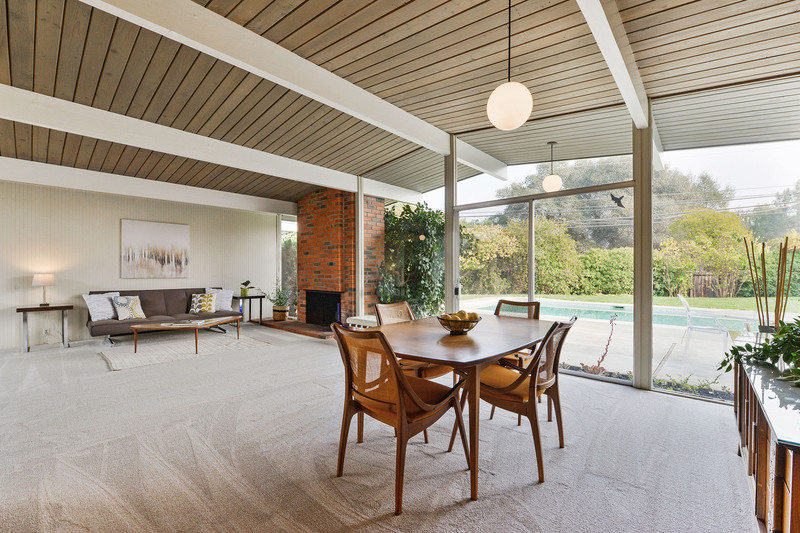 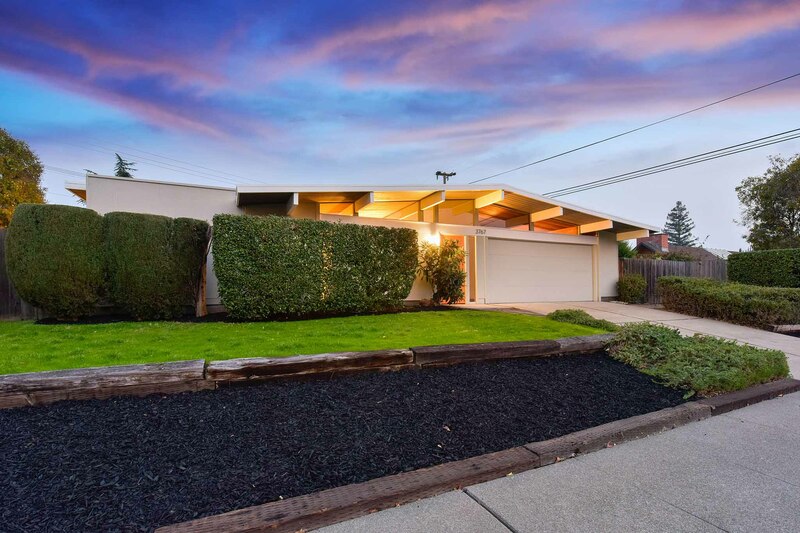 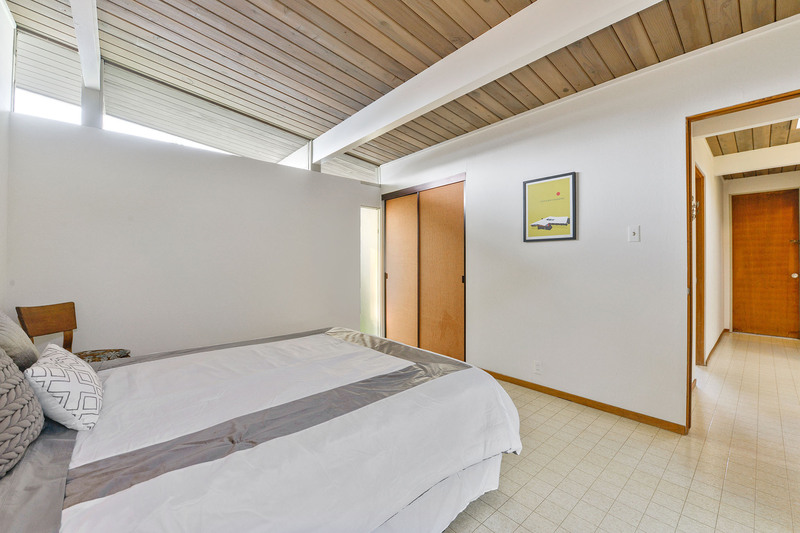 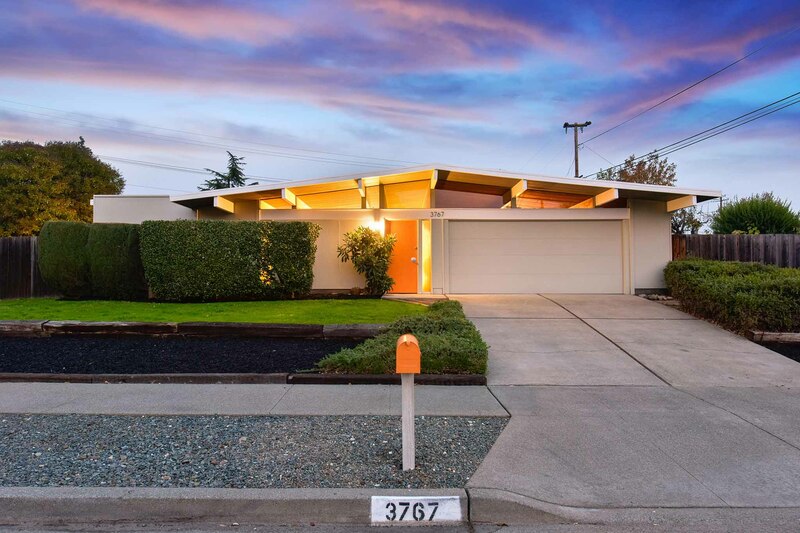 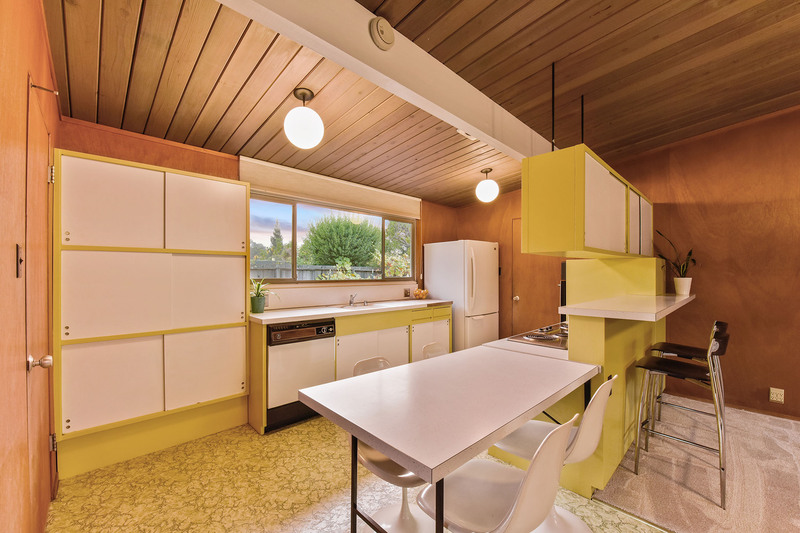 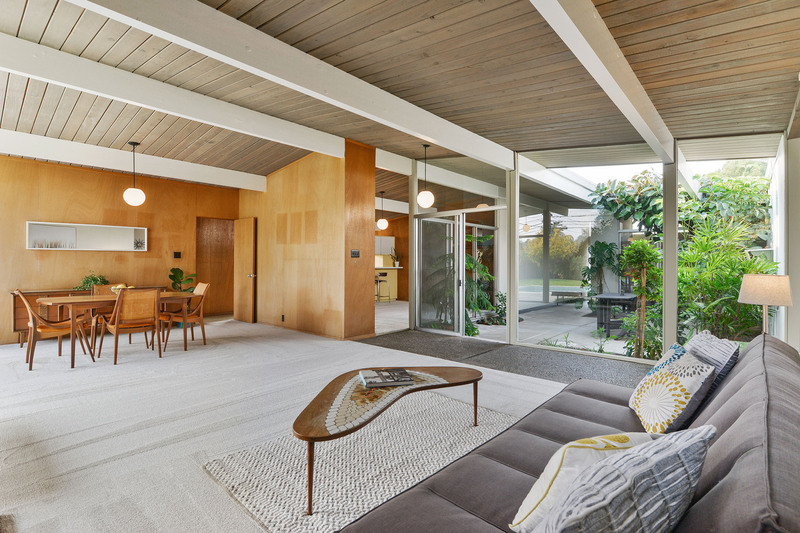 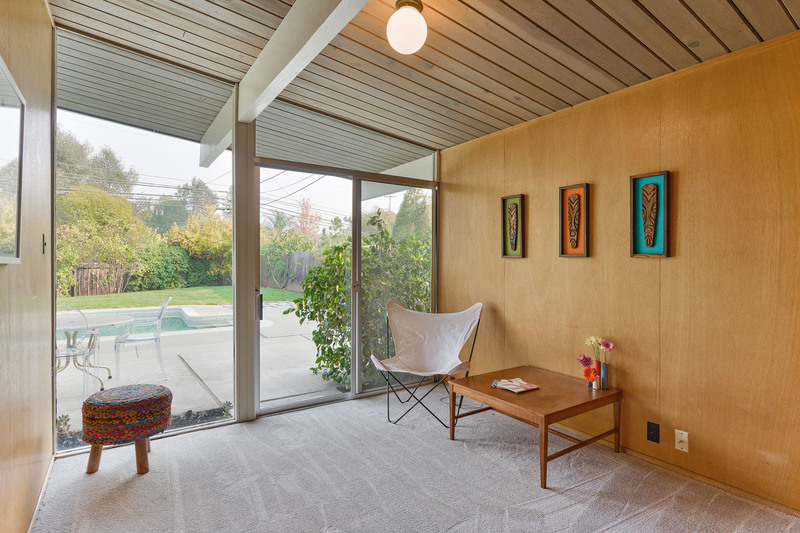 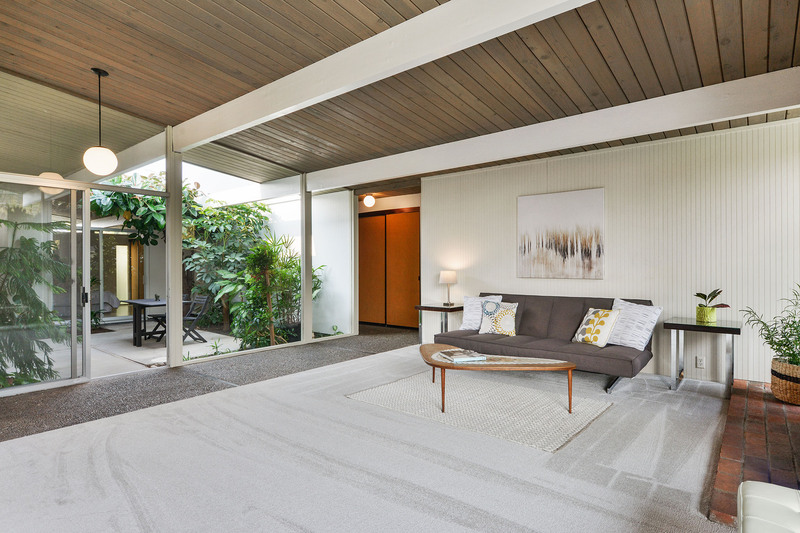 Oakland was responsible for “cleaning up the lines” of some of the first designs that created the Eichler aesthetic, and one of the most influential mid-century modern architects.